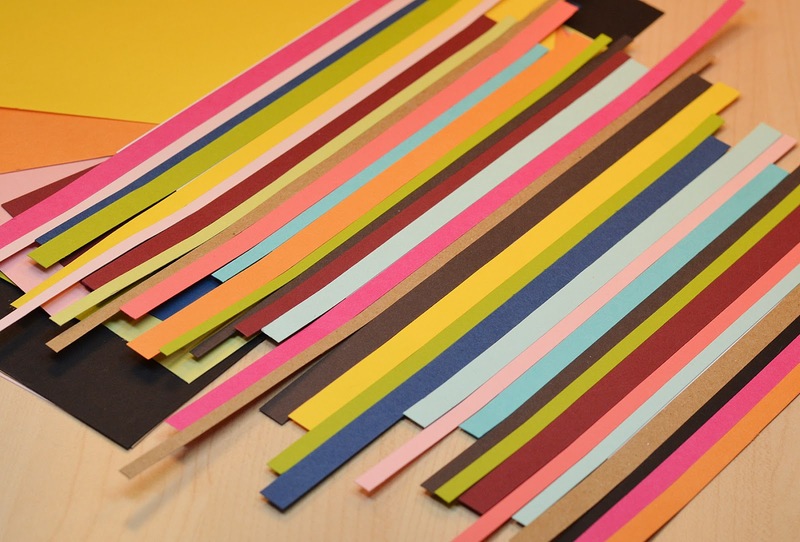 Life is good when you can combine two challenges *and* use up a bunch of scraps in the process! The two challenges I'm playing with today are Moxie Fab World's Fascination with Feathers Challenge and Paper Scraps Challenge! The feather challenge is inspired by the projects in the Paper Crafts March/April issue and the scraps challenge is inspired by the new Practical Solutions for Paper Crafters special issue. If you haven't gotten the special issue, I highly recommend it! Good stuff! I have to admit that I have a serious scrap problem. I have at least 3 buckets of various paper, ribbon, and twine scraps and I see potential in every s-i-n-g-l-e one of those pieces:) So you can see I was well-prepared for this challenge! The feather itself was cut freehand. I hope it looks more feather-y and less surfboard-ish:) I chose the sentiment because I love the handwritten look next to the stripes. I really like how cheery and colorful it turned out! Thanks for stopping by and have a great Friday! What a cool card. Wonderful feather. I saw a surfboard at first glance, must be where I live! What a great way to use up some scraps. Wow! This is so incredibly cool! You're right about the sentiment, it is just perfect, and I LOVE the single rounded corner. Amazing! I didn't see a surfboard until you said it :) You're good! I love the button/twine combo, and honestly, you rock crazy teeny pieces of paper like no one else I know! Winner winner chicken dinner. THIS IS AWESOME! I so so love it! great choice of colors, great execution, well placed sentiment, who doesn't love a button, I could just go on and on! JJ - This is so pretty - I love all the different colors and how you put them all together. The tutorial is great - I must give this a try. So pretty! Genius idea! I love the CAS feel of the card and the feather is just awesome! This is fabulous! Just gorgeous, a really clever idea! Wow this is gorgeous! Love the colours and the way you created the feather! The button embellishment is so pretty too! This card is gorgeous. Love the colours. Your lovely card DID make me smile! 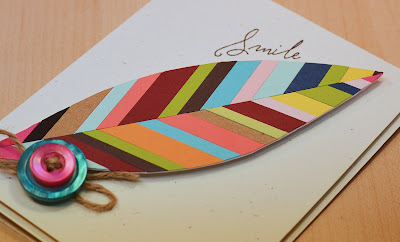 That paper feather with scraps is awesome! Great card! Congrats on your Moxie Fab feather challenge win! Well deserved! Congratulations on your Moxie Fab win! Congrats on your Moxie Fab win! This card is so amazing I can hardly stand it! Very cool card! Congrats on your win for the feathers challenge! CONGRATULATIONS on a SECOND shout out on Moxie Fab today for this card! It is perfect in it's execution, simplicity, creativity-just perfection! YEAHHH!!! 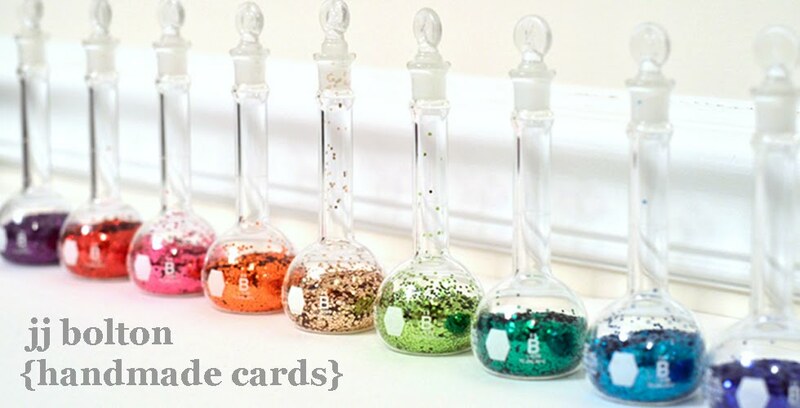 Loved seeing this on the Moxie Fab site about how to create a winning card! I know you have a winning attitude - nice to know everyone else does now too! GO YOU!!! Hugs! 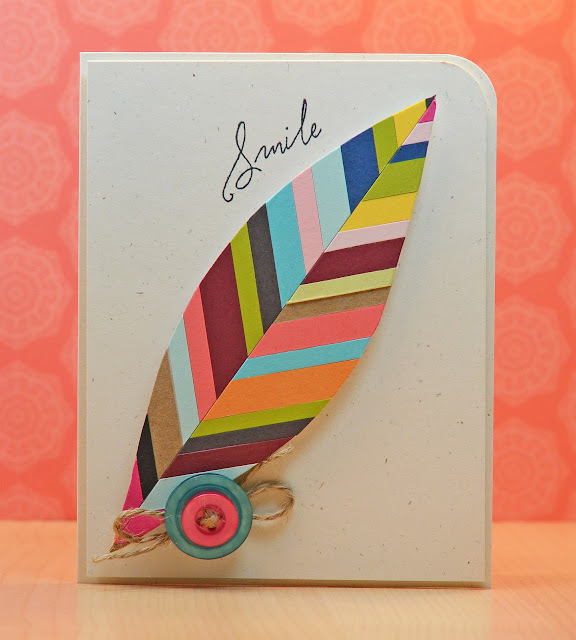 YAY, so happy to see your card on the Moxie Fab top 10 of 2012 article!! This is one of my favorites from 2012 too : ) Love, love, love it! Wow! Wonderful Card! I found it on pinterest today! Thanks for showing!